Gears of War's lead designer reckons that "code magic, time and effort" will allow developers squeeze more performance from the six-year-old 360. 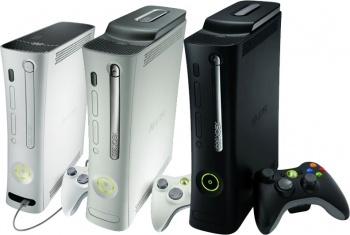 In just about two weeks' time, the Xbox 360 will turn six years old. Since console-years equate roughly to cat-years, some commentators are starting to wonder whether or not the machine is getting a little long in the tooth. Not so with Epic Games creative lead Cliff Bleszinski, however; according to the man behind Gears of War, the ol' 360 still has more to give. Speaking with Edge, Bleszinski explained that, having spent so long getting to know its hardware, the challenge with the 360 now lies in stretching its capacity through creative programming. "We're now at at the point where it's not learning how to use the hardware, it's learning to trick the hardware into doing what you want it to do," he said. "With creative programming you can squeeze anything out of any given platform," continued Bleszinski. "Go back to the demo scene where these guys would take a 286 PC and in 38k make a demo that rivalled the most triple-A game of the time." "It's just a matter of code magic, time and effort," he continued. "I don't know how much longer the 360 will be around, but I'm sure that if we have a product coming out before the end of [its] lifecycle we'll continue to try and squeeze more water from that stone." "We're kind of at that point where in the SNES [days] they started using Mode 7 in ways you never expected," he added. While it's no surprise to hear that developers are reaching the limits of the 360's capacity, it is heartening to know that there is still room for improvement in this generation of the Xbox (and consoles in general). Despite Microsoft having given no official indication of its plans for the 360's succcessor, rumors surrounding such machines are popping up everywhere. With such rumors in mind, it's useful to be reminded of the life that the 360 has left in it.